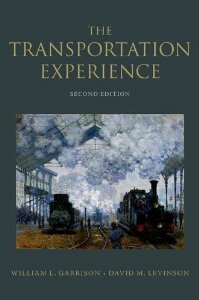 The cover art for the Second Edition of The Transportation Experience is Gare Saint-Lazare (1877) by Claude Monet. A full discussion of the art can be found at the National Gallery of Art exhibition brochure. 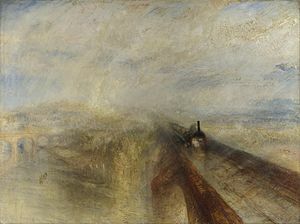 The steam and the perspective, and the common theme of trains and rails evoke the earlier impressionistic (though not necessarily impressionist) Rain, Steam, and Speed by JMW Turner which we used on the cover of the First Edition. 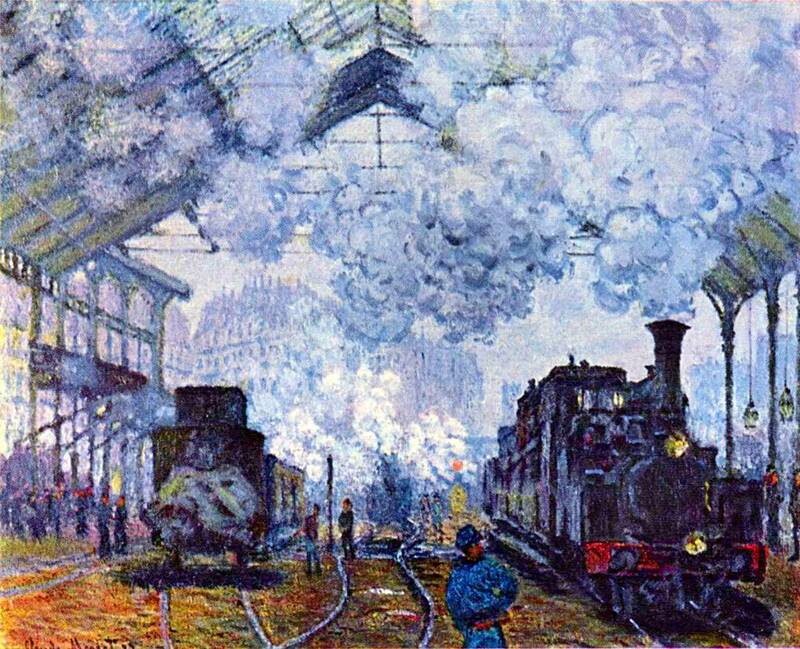 Monet’s image is set in a station rather than in motion, and in urban Paris rather than the countryside of England at Brunel’s Maidenhead Railway Bridge, but if you look closely, you see structures in the background of both.